﻿ Why Learn Spanish - How to Learn Spanish? Why learn Spanish? Why is it important in today's world? Spansih is the second most studied language and second language in international communication. Traditionally, people educated in the United States have not been obligated to learn another language beyond English. But times have changed. Globalization, particularly in the U.S., Canada, and Mexico (due in part to the North American Free Trade Agreement [NAFTA]), has elevated the increasing importance of being able to communicate with citizens from other countries. Increasingly, the second language U.S. citizens are choosing to learn is Spanish. Trends today show that Americans are studying Spanish in record numbers. Indeed, education in an international setting is becoming a top mandate for the American government because people need to compete economically. According to Businessweek, for example, more students studying for an MBA in today's world are choosing to become trilingual by learning English, French, and Spanish. Moreover, two of the top ten MBA schools outside the U.S. are located in Spain. Many other reasons compel people to learn Spanish as a second language. Why is it important to learn Spanish? First, almost 500 million people worldwide speak Spanish. Even more compelling is the fact that about half of the population in the Western hemisphere speaks Spanish, making it the primary language for as many people as English in this region of the world. Most citizens in South America speak primarily Spanish (aside from Brazil), as do people living in just about all of Central America, Mexico, and Latin America—more than 15 countries in total. In addition, within the United States, Spanish is the second most widely spoken language after English—by a very wide margin. Third, Spanish is the third-most commonly spoken language in the world. In Wikipedia, English, Chinese, and Hindustani are listed as the most commonly spoken languages. But geographically speaking, these languages are only widely spoken in China and India, respectively. In contrast, Spanish is spoken in more than 21 countries. In the U.S., employment opportunities continue to increase for those who are fluent in both Spanish and English due to ever-increasing population of Spanish-speaking people. This means that being bilingual (Spanish and English) will continue to become more valuable for people who live in the U.S. with each passing year. In today's economy, every advantage one can offer an employer is extremely important to a career. It's fairly obvious to see why Spanish is so popular. First, phonetically, Spanish is nearly perfect, which makes it easy to learn. Second, by learning Spanish fluently you can open gateways to communicating with people who speak different languages. This makes learning Spanish a good choice, particularly because the US and Canada are in the same hemisphere and do business with many Latin American countries. In fact, as a romance language, Spanish can open the door to communicating with millions of other people who speak one of the other romance languages. Such common understandings can create bridges to the European continent as well. Acquiring language requires special skills that, once learned, can be used to become fluent in other romance languages in much less time than it would take someone who is learning his or her first romance language. This is due to the similarities in grammatical structure and vocabulary. Understanding a language also means understanding the culturally enriching aspects of different societies. To stay competitive in today's world, it is imperative that we learn more about other cultures and how they think. If you include the number of people who are fluent in Spanish as a second language, the total number of Spanish speakers in the world climbs to significantly more than 500 million people. The list of countries in which Spanish is either the primary language or is the secondary language enumerates 28 different countries, from Andorra to Venezuela. Although most of the countries outside of Spain with a native Spanish-speaking population are located in the Western hemisphere, some notable exceptions should be mentioned. Spanish and French share the role as the official language of Equatorial Guinea, making it the only country on the African continent where Spanish as a primary language. Morocco and Gibraltar, however, also have many Spanish speakers. In Asia, the Philippines are the lone representative for Spanish-speaking nations. 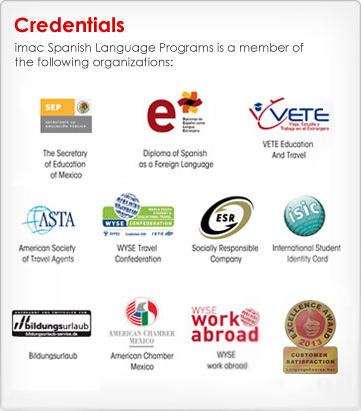 In fact, the Cervantes Institute, a non-profit organization that the Spanish government created in 1991, promotes studying and teaching the Spanish language. As of September 2011, the Cervantes Institute has expanded the exposure of the Spanish language and culture in the Philippines among many other places. The citizens of the Philippines were previously under Spanish control, and the natives already use many Spanish words. In total, Spanish is the primary language in countries across four continents. - Seven in ten (70%) Hispanic students speak a language other than English at home. - Nearly half (44%) of first-generation Hispanic students speak English with difficulty, compared with 20% of second-generation students, and 5% of the third-and-higher generations. Another indication that the Spanish language will remain vibrant for many years is the fact that a large portion of the Spanish-speaking population in the U.S. are children. In addition, by 2050, the number of Hispanics in the U.S is projected to grow exponentially to more than 100 million people. At that point, Hispanics will account for approximately one-quarter of the total U.S. population. That's more than triple the 2000 figure in just a 50-year span. In Europe, Spanish is an official language of Spain, the country after which it is named and from which it originated. It is widely spoken in Gibraltar, even though English is that country's official language and is also commonly spoken in Andorra, even though Catalan is their official language. In addition to in the U.S., Spanish is also gaining importance in Europe, where it is quickly becoming the foreign language of choice after English. Spanish is one of the six official languages of the United Nations and used as an official language of the European Union and the Mercosur in South America. Spanish is spoken in many countries worldwide. It is also spoken by small communities living in numerous European countries, such as the United Kingdom, France, and Germany. In fact, Spanish is one of the official languages of the European Union. In Switzerland, Spanish is the native language of 1.7% of the population, representing the largest minority after the four official languages spoken in that country. Spanish is the fourth most widely studied second language in Western Europe after English, French, and German. Even in the countries where these languages are the native language Spanish is often the third most popular foreign language. Neighboring Portugal and France have considerable minorities of their population with a high degree of competency in Spanish. In the New York City area, newscasts broadcast on the Spanish-language, Noticias 41 and Noticiero Univision, often have higher ratings than "the big three" network news shows on CBS, NBC, and ABC. Approximately 8.7% of Internet users speak Spanish, making it the fourth most common language among the Internet community, trailing only English (32%), Japanese (about 7.4%), and German (about 5%). A recent study of 25 metro markets in the U.S. found that Spanish-language programming was the sixth most popular format. It's increasingly difficult to ignore the prevalence of Spanish in mainstream U.S. life. Bank ATMs offer instructions in Spanish; the Yellow Pages in many cities have added a Spanish-language insert; and Spanish is working its way into everyday use. Is there an American who can't order fajitas with spicy jalapeños using the proper Spanish-accented flair? As countries in Latin America are strengthening and expanding their economies, they are becoming more important as trading partners. Many countries in Latin America have signed or are on the verge of signing the NAFTA, which was originally established by the United States, Canada, and Mexico. NAFTA should further strengthen trade and business ties between these countries and the United States, making the Spanish language an even more important asset for Americans working in the business world. In the past, people had to educate themselves to keep up with changes in technology during post industrialization. Today, people increasingly need to be educated in language—especially Spanish—to keep up with the business world. During the past decade, the demand for Spanish language courses worldwide has almost doubled. In both the United States and Canada, Spanish is the most popular foreign language to learn. In the U.S., Spanish is the most popular by a very wide margin. Most people who choose to learn Spanish do so because of its popularity, especially in the Western hemisphere and in Europe. 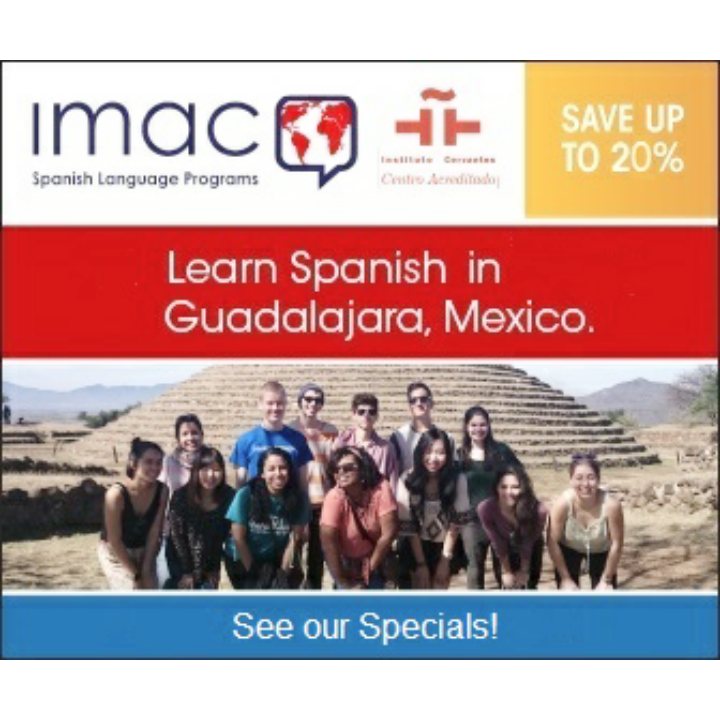 They know that learning Spanish will give them practical knowledge—in both their daily and professional lives. The facts not only support these trends, but they also show that Spanish leads other foreign languages by a wide margin for use within the Western world. They also show that the Spanish-speaking population is expanding. For example, the projections for the Spanish-speaking population within the U.S. show that it is becoming a larger percentage of the total U.S. population every year. Following are some facts that show just how widespread the Spanish language worldwide and how it is projected to grow in the near future and beyond. Now that you know a few of the important facts about the relevance of learning the Spanish language, take a step further and start learning Spanish next Monday! We offer locations worldwide where Spanish language is spoken, choose yours! : Mexico, Costa Rica, Ecuador, Argentina, Chile, and Spain.